I have given this particular heart origami to multiple grooms. This origami isn’t exactly easy, but it is one you can do if you aren’t a first time folder. 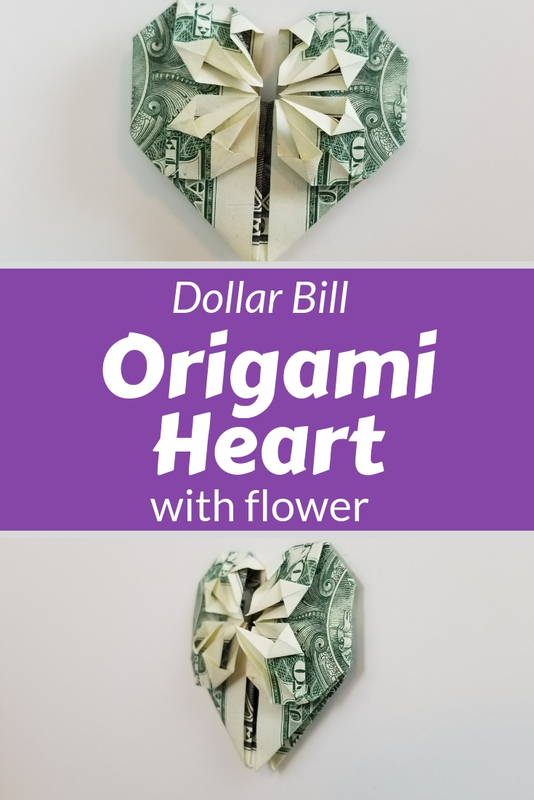 Without further ado the dollar bill origami heart with flower. 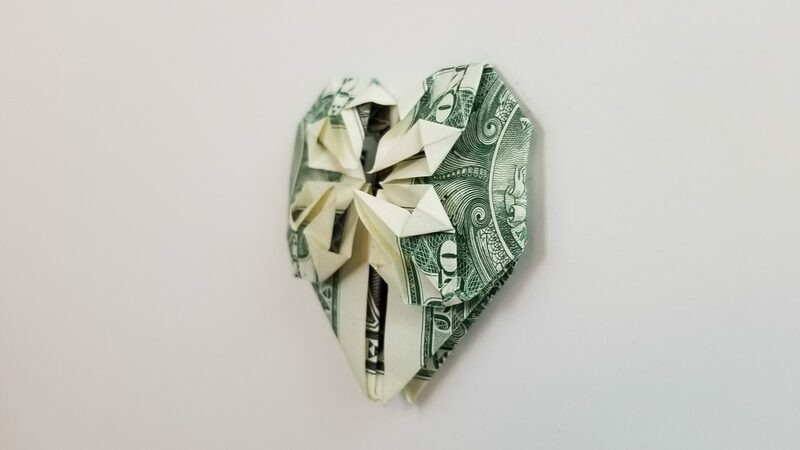 You are probably wondering why I would make this folded money for a groom. Well, mainly because sometimes you know the groom, but not the bride. 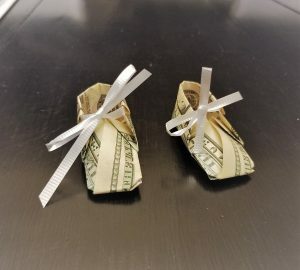 You can make the dollar origami dress when you know the bride or are attending the shower. But only a small number of grooms want a dress. But it feels like I still need to make a gift that symbolizes wedding. A heart is a great option for that.